Pearly white teeth are so in. People embrace different products just to have their teeth whitened. We may think that people are vain but that’s part of human life. 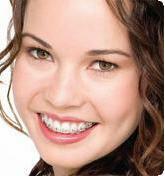 If white teeth can give you the confidence that you want, so be it. Whitening or bleaching products can be costly so ready your pockets. However, if you are at the brink of your finances but you want to whiten that yellow teeth, then this article will definitely help you. This article aims to help you find ways to bleach it naturally. When I say naturally that means you will be using natural agents such as fruits and seeds as whitener. So how can that be possible? Well, citrus fruits such as strawberry, blueberries and raspberries are not only good for your health but they are also good if you want to whiten your teeth. 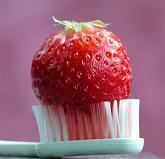 Do Strawberries Really Whiten Teeth ? Yes, this fruit has an active component called malic acid that helps to bleach. If you are ready then I’ll teach you how. Here are some simple steps that you can do to use strawberries as whitener. Wash the strawberries. Mash them in a basin. Make a paste using baking powder and mashed strawberries. Use the mixture as toothpaste. Brush your teeth. Let it stay for atleast 5 minutes. Rinse with water. Make sure you there is no paste residue. Repeat the application atleast twice a day. When done religiously, it will help you attain the desired result. Aside from this you have to visit the nearest dentist to keep it healthy. If you are looking for other home remedies on how to whiten, read my article on how to use hydrogen peroxide as teeth whitener.